After earning a degree in electrical engineering from Oregon State, Tony was working toward an MBA at Portland State University while working full-time as a sales engineer at Analog Devices. Despite a full schedule, he successfully balanced work, school, sports, and volunteer work. 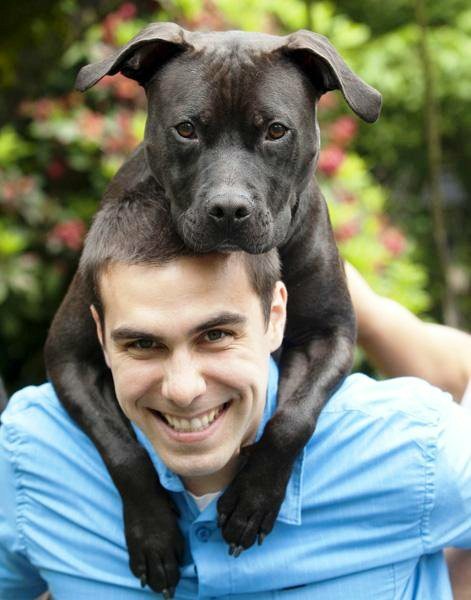 For example, he regularly fostered dogs that needed a home prior to being adopted, and in 2011 the Oregon Humane Society awarded him the Diamond Collar Hero Award. 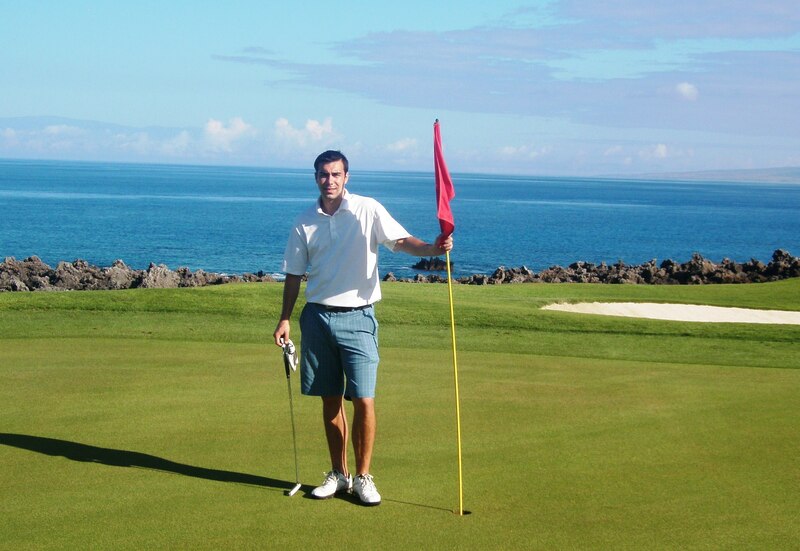 He was also an amazing athlete who played soccer, basketball, and golf. We have created the TP Forever Foundation (http://www.tpforever.org) to ensure that Tony’s memory lives on. The foundation will support the TP Forever Memorial Scholarship Fund at Oregon State and the work of the Oregon Humane Society. To raise money for these charitable causes, the TP Forever Foundation will host the inaugural TP Forever Memorial Golf Tournament at Pumpkin Ridge Golf Club on October 22, 2012. Please join us at the tournament to celebrate Tony’s life while supporting these two great causes that were dear to his heart. 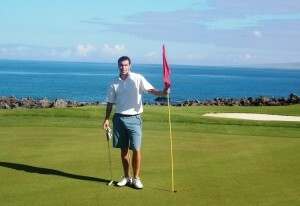 Tony enjoys a round of golf in Hawaii. Platt family photo. 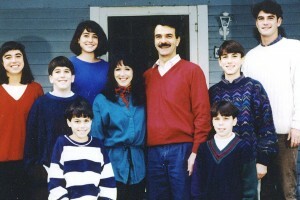 Tony (at left in striped sweater) is surrounded by his brothers, sisters, and parents.